Wondering whether a home loan refinance is a feasible option for you? Understanding the math behind the question will help you determine whether or not a refinance will save you money on your mortgage in the long run. If math isn't your strength, you are in luck. We have a calculator just for you. First, a little background: When you closed on your home loan, you paid closing costs. What some people don't realize is a refinance also involves closing costs. So - in almost all cases - refinancing a home loan is only a good idea when the amount you'll save in interest over the life of the loan is greater than the closing costs you'll pay up front. This easy-to-use calculator will show you how many months it will take for the amount you'll save in monthly payments to be equal to or greater than the amount you'll pay in closing costs. In other words, it will help you figure out if refinancing is a smart decision for your situation. 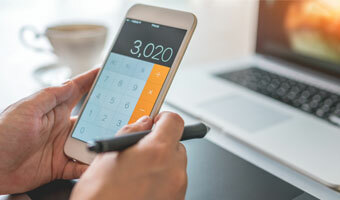 After you've given the calculator a go and you're ready to refinance, find a mortgage loan professional in your area for a complimentary consultation.